If you are getting ready to make a move, call N.L. Wilson Moving & Storage to get a 10% discount on your moving expenses! N.L. Wilson provides moving services for local, long distance, and international moves, as well as long-term and short-term storage. They do household moves, corporate relocations, facility and office moves, containerized moves, and records storage and management. N.L Wilson is now offering 10% off moving services for Southcreek Office Park tenants. This means you can get free pick up and delivery of your moving supplies, packing supplies, book carts, and more! For a free estimate, contact N.L. Wilson Moving & Storage at 913-236-7052. 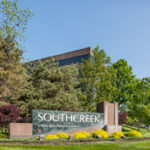 Keep an eye on the Southcreek Office Park newsletter, What’s Up at the Creek? for more discounts and deals just for Southcreek tenants, as well as upcoming events at Southcreek and in the Kansas City area. If you are looking to move your small business out of your home and into an office building in Overland Park, give us a call at 913-685-4100 and talk to us about what you are looking for in an Overland Park office space for lease.